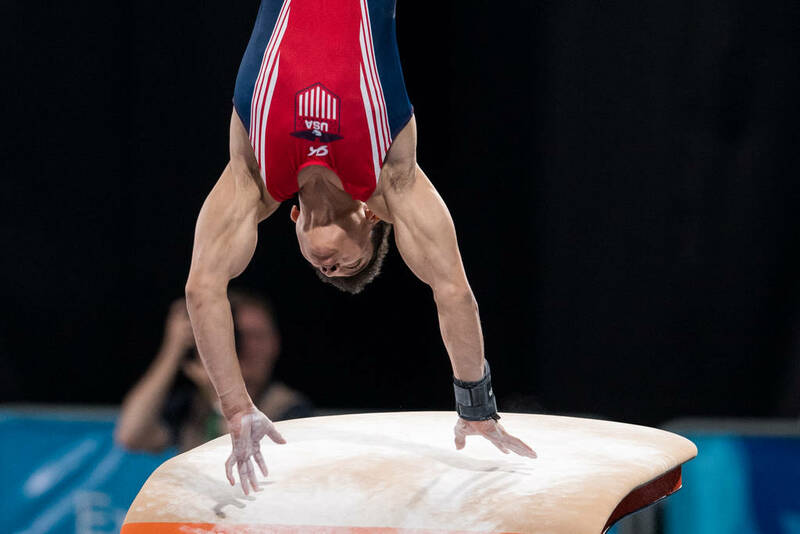 A year ago gymnast Brandon Briones was not sure he would ever compete again, let alone recover his best form, but he made a golden comeback in the men’s vault final at Buenos Aires 2018 on Sunday. “In June 2017 I broke my left leg during a training on the floor,” 17-year-old Briones (USA) said. “When I broke it, I had no idea if I would be able to become as good as I was before. I definitely had a lot of doubts. It took 12 months for Briones to return to the highest level and he admits it has been tough. “The most difficult part was maybe not even the rehab itself, but managing school and gymnastics at the same time. It was very time-consuming and it all came down to a lot of mental strength. “The fact that I love this sport so much is what helped me the most. I just didn’t want to give up.